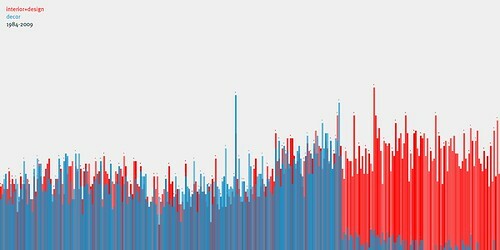 This graph shows the occurrence of the terms “decor” (blue) and “interior design” (red) in The New York Times between 1984 and 2009. What happened to the word “decor”? It fell out of usage in approximately February, 2001, maybe a result of a change in editorial style policy? When I first saw this we wondered if it had to do with some sort of anti-French sentiment, decor being French in origin, but then we realized that its drop in usage came about seven months before 9-11. Eames and Saarinen House, only 14 million. 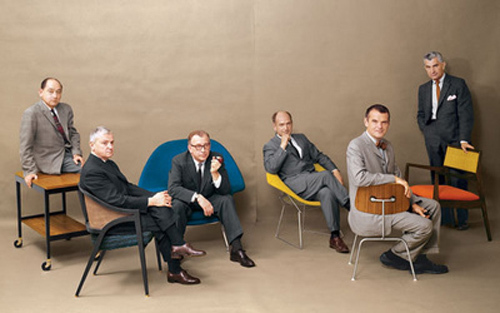 For 14 million US$ you can purchase the Eames and Saarinen Case Study House #9, in nearly perfect original condition. More photos at dailyicon.